Audio / Video Editing in Linux. 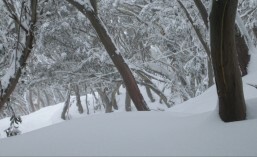 | The BBBlog. 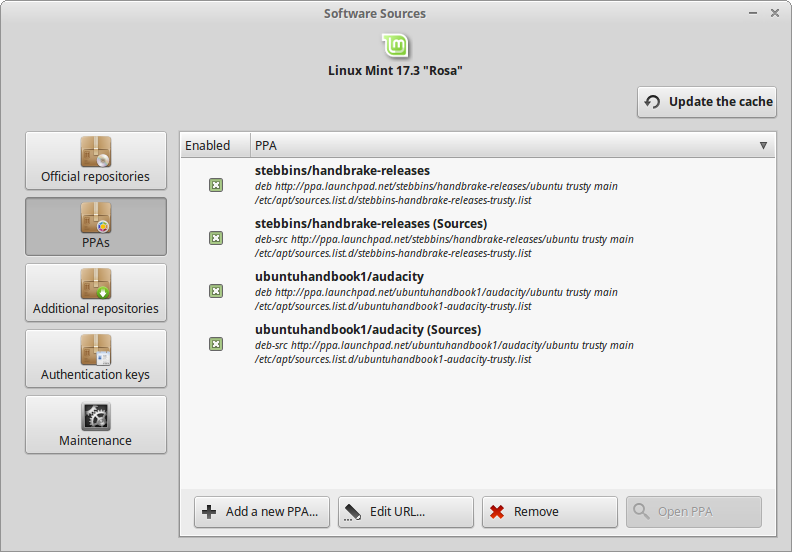 To add the PPA in Linux Mint (xfce shown here), press the Start/Windows button, type “Sources” and hit return to open the ‘Software Sources’ window. 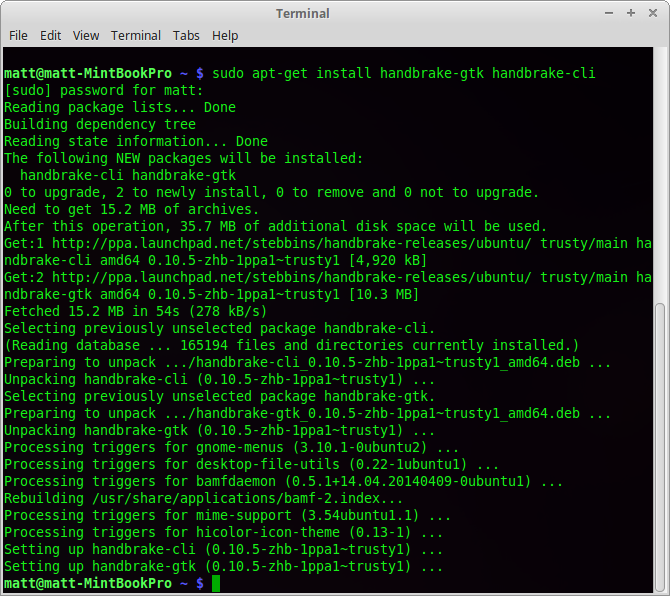 Click the PPA tab on the left and add ppa:ubuntuhandbook1/audacity with the ‘+Add a new PPA…’ button in the window. 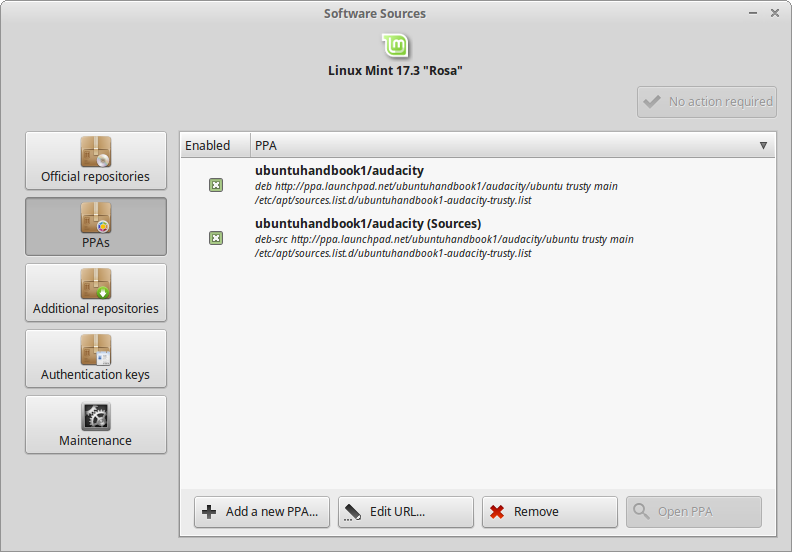 The appropriate PPAs for the latest Ubuntu edition of Audacity will be added. Next, update APT by clicking the ‘Update the cache’ button. 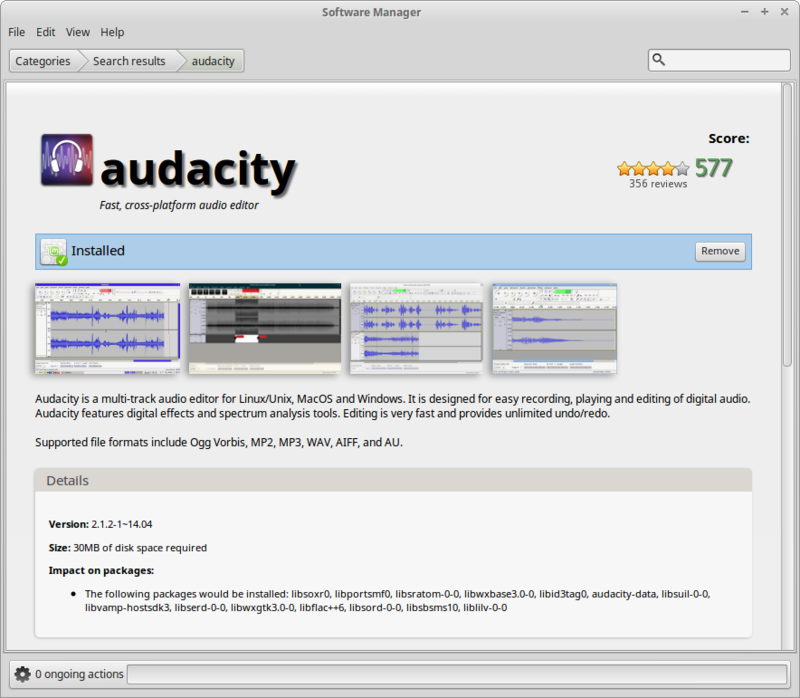 Finally, install Audacity via the Linux Mint (shown) or Ubuntu Software Manager or Terminal and enjoy. Click the PPA tab on the left and add ppa:stebbins/handbrake-releases with the ‘+Add a new PPA…’ button in the window.